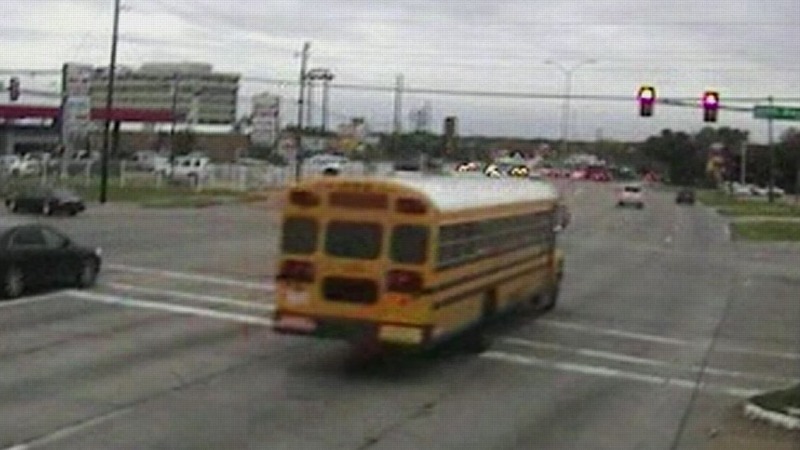 Records obtained by NBC 5 Investigates show some bus drivers for Dallas County Schools remain employed after receiving at least a dozen or more complaints of reckless driving or speeding in less than two years. Those drivers are still behind the wheel, taking kids to and from school in the Dallas Independent School District and 11 other local school districts. Videos showing bus drivers for Dallas County Schools first sparked big questions about safety after hundreds of violations were recorded. Internal records show that over a 20-month period, witnesses called in more than 2,000 times to report reckless driving and speeding. DCS has defended its record, saying there is no problem with the safety culture and that when drivers step out of line they are disciplined. "We've implemented a process to where they are immediately referred, not only to discipline, but to driver training," said Ray Lanoux, director of risk/emergency management for Dallas County Schools. Records show, however, that one driver who received 22 complaints of reckless driving and speeding still works for DCS, driving a school bus. Meanwhile, 14 other bus drivers received a dozen or more complaints for speed or recklessness and are all still listed as employed. Safety experts told NBC 5 Investigates it's ultimately up to bus company managers to police bad driving and that complaints, tickets and even minor crashes should be warning signs that need to be dealt with quickly. "If there's dangerous driving behavior out there, if there's [sic] bad habits that are out there, they need to be addressed and it needs to be done quickly. Sometimes it might mean discipline in very severe situations," said Deborah Hersman, CEO of the National Safety Council, which offers bus driver training programs. Hersman said buses are statistically the safest way for kids to get to school, but managers need to work constantly to weed out problem drivers. "We expect our school bus drivers to perform at a higher standard, honestly, than the rest of drivers driving in public. They are charged with carrying our most precious cargo -- our children," Hersman said. DCS records show out of 2,000 reckless driving and speed complaints, not one driver was fired. Three drivers were suspended, 10 lost merit pay and 43 received re-training. DCS said complaints phoned in by citizens are often unreliable and without merit. In a statement Tuesday, DCS said, "We have a strong commitment to safety but safety training for our drivers is never complete. In light of the issues that have been raised … DCS is looking at every aspect of training and retraining to ensure that the safety of our students is our top priority." DCS said late Tuesday the director of transportation, Aaron Hobbs, has retired. He was one of the two senior managers demoted after the initial investigation that found drivers running red lights. We tried contacting him but have been unable to reach him. DCS says a new interim transportation manager will be looking at safety issues from top to bottom. One of the biggest critics of DCS, Texas Sen. Don Huffines (R-Dallas), said the Chattanooga crash highlights the seriousness of the issue. "I pray that Dallas County students remain safe and that a tragic accident like this never impacts any Texas parents or students," Huffines said. "Student safety must come first, but as recent reporting proves, we cannot trust Dallas County Schools to deliver on that promise." Huffines said he plans to introduce a bill in January to phase out DCS and let other bus companies step in.